“We are thrilled to partner with PÜR,” said Paula Kupfer, SVP Global Partnerships and Promotions at Lionsgate. “The collection brings passionate My Little Pony fans a tangible and beautiful way to celebrate in the excitement leading up to the movie. Embark on a journey through Equestria with this 4-piece collection inspired by My Little Pony: The Movie. 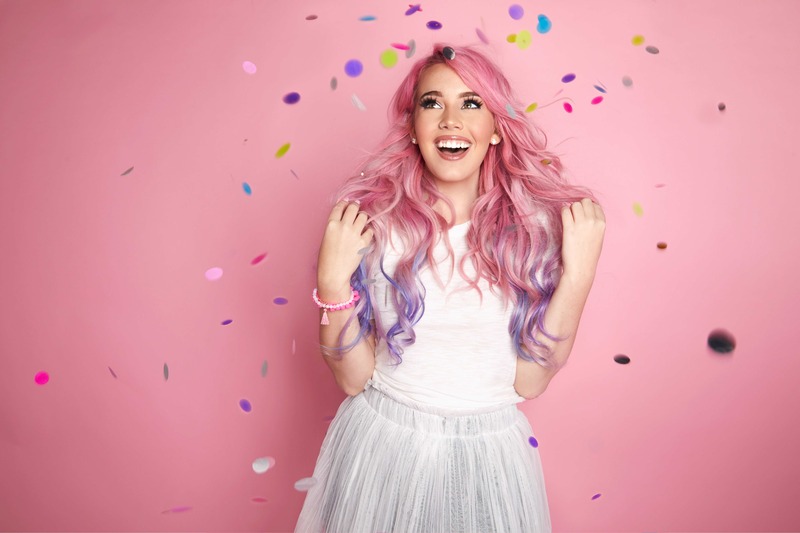 The line-up includes a 16-piece eyeshadow palette, lip gloss toppers, glow face sticks and a cruelty-free brush set that follows the Mane 6 on their quest to save their home using the Magic of Friendship. Delivering the same pure mineral formulas and richly pigmented shades PÜR™ is known for, the collection celebrates the magical side of the brand by delivering a happy array of products that blush, brighten and sparkle. This 16-piece eye shadow palette features a kaleidoscope of colors including mattes, shimmers and bold brights. From everyday neutrals to flirty shimmers – all the basics are covered. However it’s the pops of unexpected but wearable colors that work together to create looks beyond the imagination. That’s the Magic of Friendship! These glittery lip glosses feature glass-like shine, jewel-tone glitter and opalescent pearl pigments without feeling sticky or tacky. This three-piece face, eye and lip kit will take beauty lovers on an adventure just like the Mane 6 as they explore the worlds beyond Equestria. Inspired by My Little Pony: The Movie, these illuminating balms provide an exciting highlight to sculpt and add depth to the whole face. Packed with sheer prismatic pigments in three hues, these multitasking sticks can be used on the lids, cheeks and lips to add a subtle shimmer. Just swipe on and tap into the skin on-the-go. The compact size fits easily into a makeup bag. Pony approved. 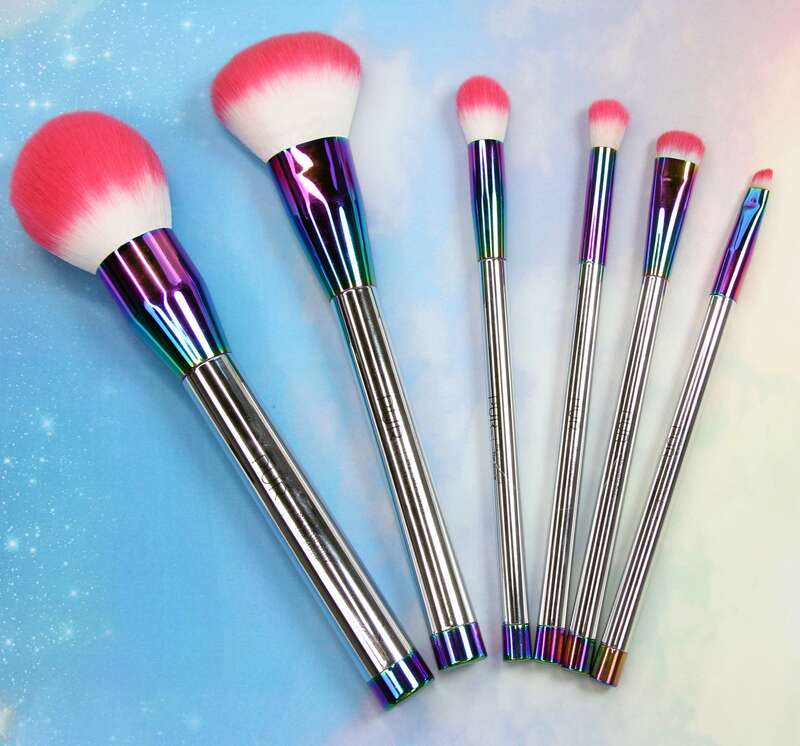 The Mane 6 have selected their favorite brushes to bring fans this six-piece set designed for specific needs. This set includes a Powder Brush, Blush Brush, Concealer Brush, Eye Shadow Brush, Crease Brush and Eyeliner Brush. It’s wavy and straight synthetic fiber means less fallout and more controlled application for professional quality results. All products are available exclusively at purcosmetics.com on August 10th and on HSN.com, Ulta.com and Kohls.com on August 15th. The My Little Pony: The Movie Eye Shadow Palette will be available in stores at Ulta and Kohls on August 27th. The expertise behind it: Known globally for intelligent beauty solutions, PÜR™’s signature complexion, skincare and on-trend color products provide immediate flawless results that nourish and improve the skin over time. Formulated with proprietary, age-defying ingredients like Ceretin Complex, combined with good-for-your-skin antioxidants, each of PÜR™’s products corrects and perfects the skin, softening the look of lines and wrinkles while brightening the complexion. MY LITTLE PONY and all related characters are trademarks of Hasbro and used with permission. © 2017 Hasbro. All Rights Reserved. MY LITTLE PONY: THE MOVIE © 2017 My Little Pony Productions LLC. Used with permission.